Most of the headlines involving MLB free agents this winter will involve stars such as Yoenis Cespedes, Aroldis Chapman and the 2016 edition of the Bash Brothers, Edwin Encarnacion and Jose Bautista. But MLB teams can’t just fill out their rosters entirely with big-ticket free agents and homegrown players. Free agents can fill holes for several clubs. While the marquee free agents will get the attention, many more offseason transactions will actually involve lesser players who can fill a specific role for a team. Some of them may make meaningful contributions or even a significant impact next season, depending on the club. Keeping that in mind, here are 10 available free agents that could be huge bargains and valuable role players for the team that signs them. With a particularly small class of middle infielders available, teams could do worse than grabbing up the veteran shortstop for a one- or two-year, incentive-laden deal. While his overall numbers look bad from last season, they improved drastically once he went from one of the worst offenses in baseball in Atlanta to one of the best in Detroit. From the first to the second half, his OPS increased by more than 200 points and his defense isn’t terrible for a 32-year-old. Given that he has experience at second, third and in the outfield as well as his primary position, Aybar could be a great fill-in option for a team looking to bring up a young shortstop or simply as a pure utility man. While his previous deal, which guaranteed him $8.5M per year for the last four seasons, ended up being harmful to two different teams, he should sign for considerably less this year and could exceed the significantly lowered expectations. The true prize of the catcher free agent crop this year is Wilson Ramos, who was an All-Star and didn’t get a qualifying offer, removing the stigma of an assigned draft pick. Despite there being few other great catching options, Castro provides a team with a star defensive player who isn’t going to kill you at the plate. The Astros obviously don’t care about this aspect of the game, as they regularly allowed Evan Gattis to squat behind the plate this year. But teams that actually win games have learned of the importance of a good man behind the dish. The Cubs and Indians each played catchers in the postseason who had poor seasons at the plate because of their defensive ability in David Ross and Roberto Perez, respectively, and Matt Wieters is a similar type who will likely command a much greater salary than Castro. Castro won’t turn 30 until next year, making him a much safer pick than most eligible free agents and has played more than 100 games in each of the last four seasons, showing his durability. With so few standout catchers in the league now, he could easily be a starter for a team desperate to improve its catching situation. With Bartolo Colon and R.A. Dickey each getting considerable deals with Atlanta to open the free agent season, it brings hope to the lowest level of innings-eaters that they still have value in the league. It seems offensive to consider the once-great Peavy an innings-eater, but that was his most marketable attribute after an otherwise lackluster 2016. After averaging 95 mph on both his fastball and sinker when he was an All-Star and NL ERA king in 2007, Peavy has consistently dropped velocity while his change has remained stable at 84 mph, decreasing his difference in speed. However, we are seeing more and more pitchers have success with low velocity and great command, particularly Jon Lester for Chicago, and Peavy could be set for a great comeback season. While his ERA was 5.54 last year, his FIP was only 4.36 and he struck out a still impressive 7.7 batters per nine innings. In addition, he walked just 2.7 batters per nine, exactly his career average. He’s not going to be an ace, but could definitely fit in as a No. 4 or No. 5 man in most rotations. If there is a strength in this year’s free agent market, it is the DH/1B/slow plodding outfielder position. With the greatest DH in baseball history retiring this year (no offense to Edgar Martinez), there is an opening on one of baseball’s highest-paying team’s roster for a big name. But there are still some players available for those who are not quite as wealthy. Just two years ago, you could have obtained Moss for a decent AA prospect, but now you can have him for straight cash. While his 1.4 fWAR and .225 average may scare some away, Moss should only be signing with an American League team with whom he can DH, eliminating that -4 from the defensive side and leaving just his offensive contributions. There, the 33-year-old hit 28 home runs in 2016 after a career-low for a full season (19) the year before. He still has power and walks enough that he still gets on base more than 30 percent of the time. If you can’t get Encarnacion, Bautista, Cespedes, Mark Trumbo or even Mike Napoli, there is still a terrible defender who can mash available for you. Lewis has played in Texas since signing there in 2010, but this is the seventh time he’s hit the free agent market and probably his last. While he is 37 and could very well retire, Lewis is coming off his best season since 2010 and arguably the second-best in his entire career. Like Peavy, Lewis doesn’t have much left in the tank as far as velocity is concerned, but he didn’t start with much. He doesn’t strike out many, but doesn’t walk many either, and his curve at 76 mph and slider at 83 give him quite the speed differential to keep batters off balance. The 32-year-old is coming off his best season since 2011 in Baltimore and significantly cut down his K rate, raising his average 50 points from 2015 in the process. Yes, he hit .310 at home in Colorado, skewing his offensive numbers, and yes, he’s league-average at best defensively, throwing him into that category with Moss and the other immobiles. But there are still some home runs left in that bat. The decrease in strikeouts is Reynolds’ biggest positive going into free agency as the single-season record holder (223 in 2009) dropped to just a 25.4 percent K-rate, his lowest ever in the Majors. At the same time, he still walked in nearly 10 percent of his at-bats, numbers that should maintain even if he moves out of Coors. Like many other free agents this year, Reynolds’ best position is DH, so an American League team would be the best fit. But he’s made it work in St. Louis, Colorado and Milwaukee the last three years and could continue as first baseman and pinch hitter. The bane of everyone who has ever had to spell his last name, Rzepczynski is also problematic for opposing left-handed hitters. In his career, he has decimated batters who share his dominant hand to the tune of a .222/.291/.298 line and a 3.81 K/BB rate, impressive for a pitcher who rarely strikes anyone out. His problems for his entire career have come from being used against too many right-handed hitters, against which he is horrendous. If a team were to sign Rzepczynski and actually use him to the literal definition of a LOOGY, he could be an extremely huge asset. Any team wanting to use him like he’s Andrew Miller, they will just look like huge asses. While there’s no question that the Diamondbacks got the better of the deal that gained them Jean Segura from Milwaukee for Hill and Chase Anderson, Hill still had a decent year at 34. This didn’t continue after he was traded for prospects to Boston midseason, but he is still a solid infielder, particularly at second base. However, he has been playing more often at third in recent years. As mentioned before, there are few reliable middle infield options and teams could benefit from a veteran with the positional flexibility of Hill. If he can hit like he did in the first half of 2016 with the Brewers, he would be a solid bat to add as well, although his poor performance in Boston and in Arizona from 2014 through 2015 makes that questionable. That the Indians (or Athletics, for that matter) didn’t want to pick up Crisp’s $13 million option for 2017 was no surprise, but that doesn’t mean he isn’t still worth a spot on a team somewhere. There was no bigger surprise for Cleveland in the postseason this year, as Crisp came through with clutch hit after clutch hit. He’s not much use in the outfield or on the bases anymore, and nearly all his positive at-bats come against right-handed pitchers. 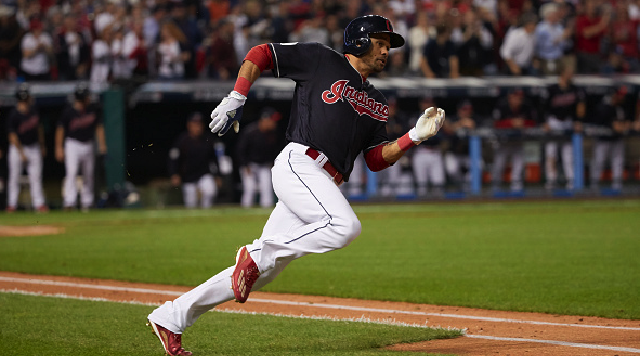 But the 37-year-old former speedster could still find a role somewhere as a platoon or bench corner outfielder. This one may be a long shot, but some team is always looking for a reclamation project and he’s certainly a better option than many free agents like Sean O’Sullivan, Ross Detwiler, Mat Latos and John Danks. Milone had a terrible season in 2016, despite not really changing peripherally. It’s possible that the constant tinkering, with the Twins sending him to AAA and largely using him out of the bullpen after he dealt with biceps tendinitis, contributed to his poor performance. If a team was to sign Milone to a low-risk deal and actually allow him to make consistent starts, he should be able to return to the high 3.00, low 4.00 ERA pitcher he has been for most of his career.